School camp and large group accommodation in beautiful Alpine farmland. Snowy River Camp has various accommodation buildings to sleep up to 94 people. Some rooms have ensuites. Plus two separate campsites for tents and caravans. Fun, educational outdoor activities in a safe environment. Canoe, swim or fish for Murray cod in the magnificent 10-acre lake. Take up the challenge of the abseiling wall or low ropes course. Or whiz through the air on Snowy River Camp’s famous Flying Fox. Or take it slowly and allow time to stretch by as you unwind and relax. Enjoy stargazing around the camp fire. Meet the friendly farm animals. Situated close to the High Country Rail Trail, State Parks and Hume Weir. Bring your bike or boat. Historic townships of Corryong and Beechworth within an hour’s drive. Snowy River Camp is an ideal base from which to explore Victoria’s stunning North East. 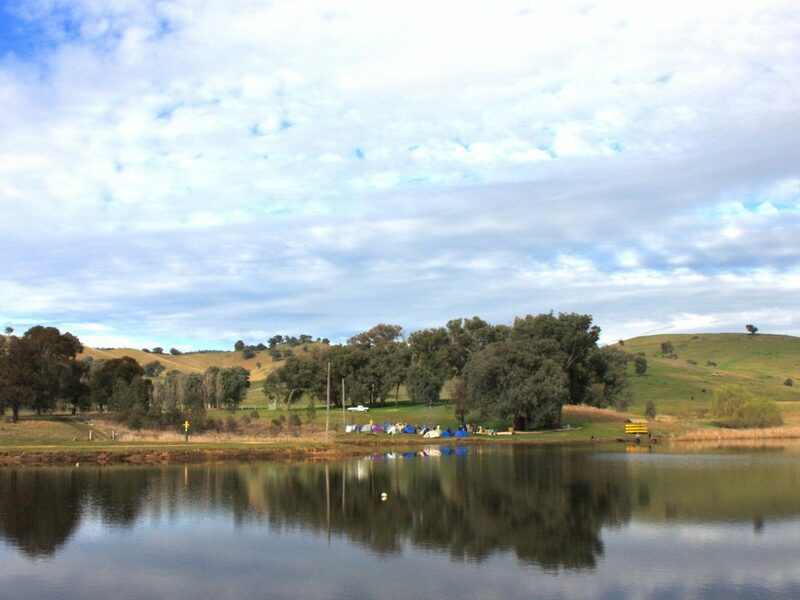 Two camp sites, one with stunning views over the dam and valley. Wake to spectacular sunrises. The pear tree camp site is close to showers and toilets.